When monsters began to tear down civilization, suspicion fell on Abe Sapien, who resembled the frogmen plaguing mankind. The two volumes of Dark and Terrible tell the complete story of Abe's quest to prove his innocence as he went AWOL from the Bureau of Paranormal Research and Defense. 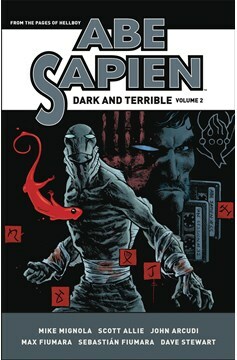 Collects Abe Sapien volumes 6-8..